Occasionally, publishers send me complimentary copies of books to review, or I’m approved for a title I’ve requested on Netgalley.com, like Woolly: The True Story of the Quest to Revive One of History’s Most Iconic Extinct Creatures (Simon and Schuster). I’ve got to admit: I thought this was a novel after I read the first few pages. Author Ben Mezrich is a really engaging storyteller, and this non-fiction book has a Jurassic Park quality that might make you think it’s all made up. But surprisingly, it’s not, and the way Mezrich writes about real-life scientists and their research work makes for a terrific read. Highly recommended, even if you’re not a woolly mammoth fan. 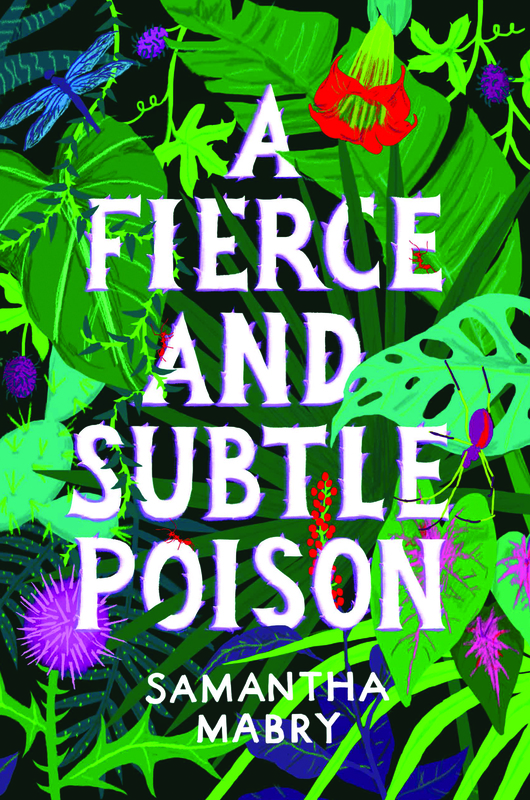 In author Samantha Mabry’s debut novel, A Fierce and Subtle Poison, seventeen-year-old Lucas is drawn irresistibly to a mysterious house, said to be cursed, that sits at the end of a street in Old San Juan. Locals scribble their wishes on notes and toss them into the courtyard, which is filled with poisonous plants, and it’s rumored that a girl with green skin and hair like grass lives behind its walls. While Lucas spends the summer with his father, a hotel developer, idling away his time and partying with friends, several girls from town go missing. One of them is pretty Marisol, whom he’s been seeing. As Lucas starts to look for answers to the disappearances, he meets Isabel Ford, who lives in the cursed house. Isabel’s touch, he discovers, is poisonous. Worse, when Marisol’s body washes up on the shore, and her little sister also vanishes, Lucas becomes a suspect in the crimes. 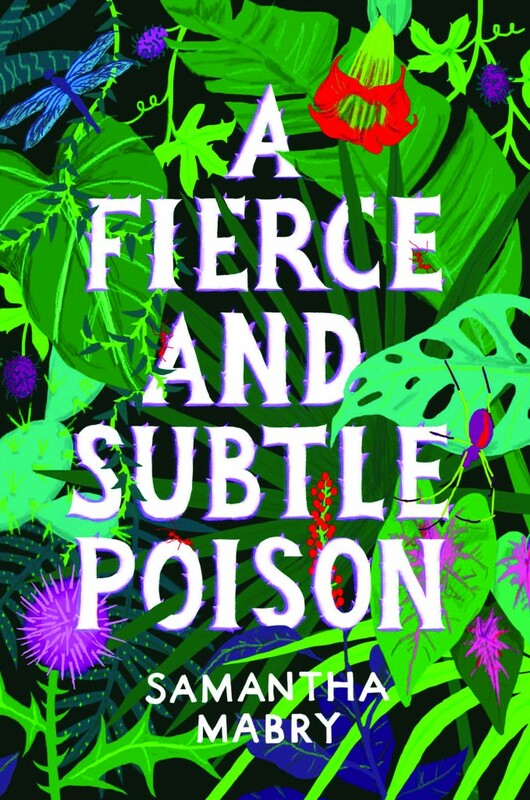 Isabel’s poison affects Lucas, but it’s also slowly killing her, so the two join forces to find a way to end the curse. Her book, Mabry says, was inspired by Nathaniel Hawthorne’s short story, “Rappaccini’s Daughter.” She re-told the story, adding elements of magical realism like those used by Latino author Isabel Allende, and moved the tale to Puerto Rico. The result is a haunting novel that’s so rich with atmosphere, the reader can feel the humid, tropical air, and the cold sting of the sea that took Marisol’s life—and may have taken her sister’s. The book is filled with romance and suspense, sacrifice and longing, and myth and mystery. Eventually, Lucas becomes the keeper of the written wishes, even as he spins a wish of his own. When the book ends, some readers will still feel a need for closure, but Mabry has crafted a haunting, exciting novel – with a stunningly beautiful cover – that will resonate with readers. I don’t like to post reviews for books that I’m not crazy about, especially when the book was a free copy from the publisher. 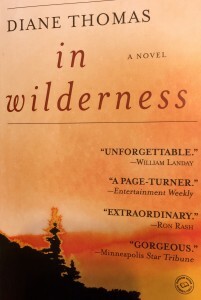 That’s the case with In Wilderness, a novel I received from a LibraryThing giveaway. 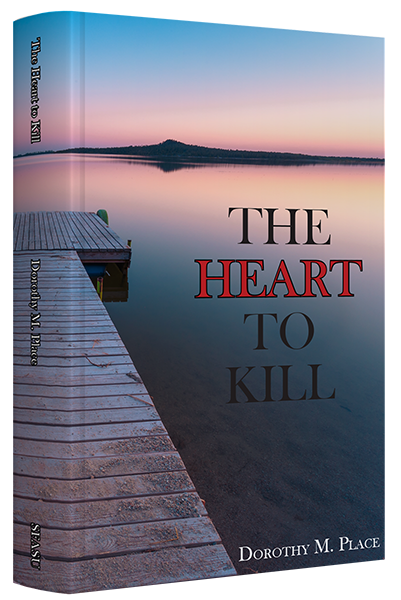 While author Diane Thomas’ book is extremely well-written, suspenseful, and even lyrical, with finely-drawn, heartfelt characters–I must confess, the subject matter is just not for me. 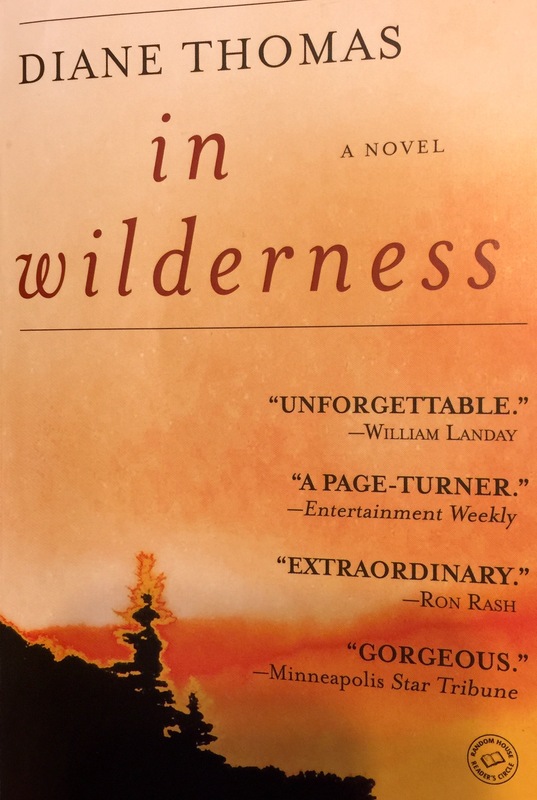 Set in 1966, In Wilderness is the story of Katherine, a successful, 30-something businesswoman who loses both her baby and her health after she’s exposed to an environmental poison. Soon her husband abandons her, and when her doctors tell her she’ll die within months, she leaves work and home behind, and retreats to an isolated cabin in the Appalachian Mountains, where she intends to live out her remaining days alone. But fate has a different plan. She encounters Danny, a twenty-year-old Vietnam veteran who’s living off the land and suffering from PTSD. While I don’t want to spoil the story, as it unfolds, we realize that these two terribly damaged people are helping each other while surrounded by the healing powers of nature. But if that description makes this sound like a lighthearted read–well, it isn’t. I shouldn’t even use the word “healing,” because this is no fairy tale, dark woods notwithstanding, and neither character experiences anything like true redemption. I found this book disturbing, primarily because Katherine takes so much abusive treatment from Danny (although he’s kind and attentive at times, he’s also violent, dangerous and unpredictable). At one point, I couldn’t understand why Katherine didn’t head back to civilization for help (by then, she has a compelling reason to get away from him). Other critics have said this book testifies to the healing powers of nature, too. But in the end, I think “therapeutic” might be a better word to use. That’s because while the natural world comforts these characters, it doesn’t or can’t restore them, either to the people they used to be, or to society at large. While these two broken, sorrow-filled people find some balm in the wilderness, I was left feeling sad and disturbed. This isn’t to say this isn’t a worthy book. Most critics have given it high praise, calling it “gripping,” “powerful,” “haunting” and “harsh and beautiful.” It’s just too dark for me.